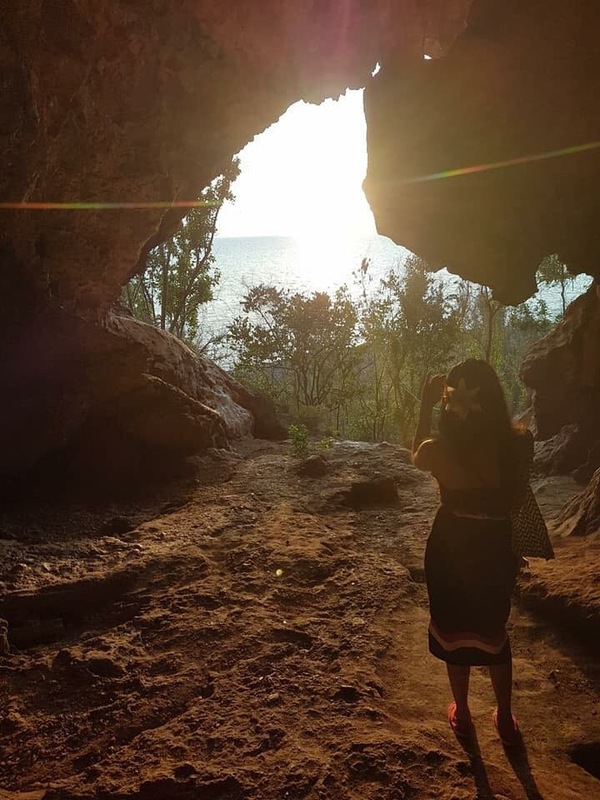 We booked a group tour to Cuba where we would be able to see many highlights, but also have the freedom to explore on our own. The group tour included a local tour guide and a Dutch (speaking) tour guide. In Cuba this turned out to be a great choice. Not only did we have a wonderful group – it felt more like one big family than a travel group – we were also very lucky with our tour guides. 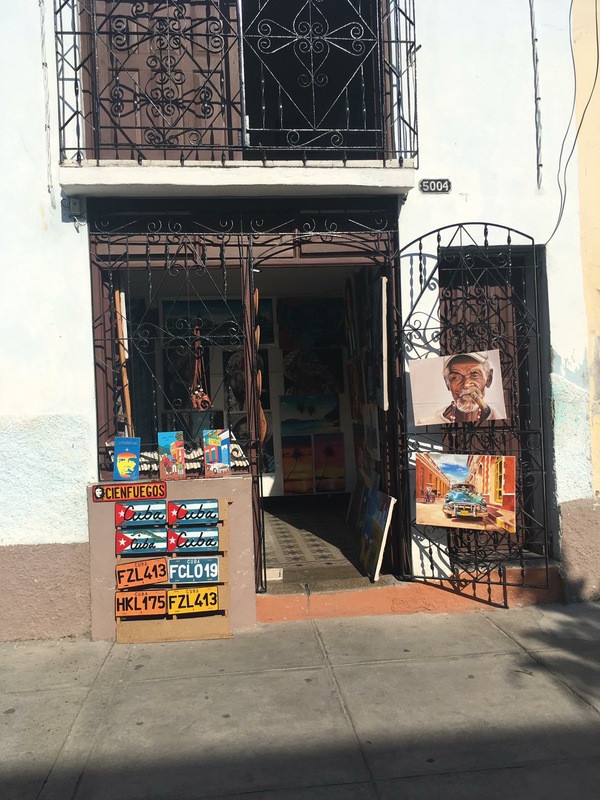 We got a lot of interesting background information about Cuba and its culture, but they also knew the perfect spots when it comes lunch & dinner and other highlights. More about that later! 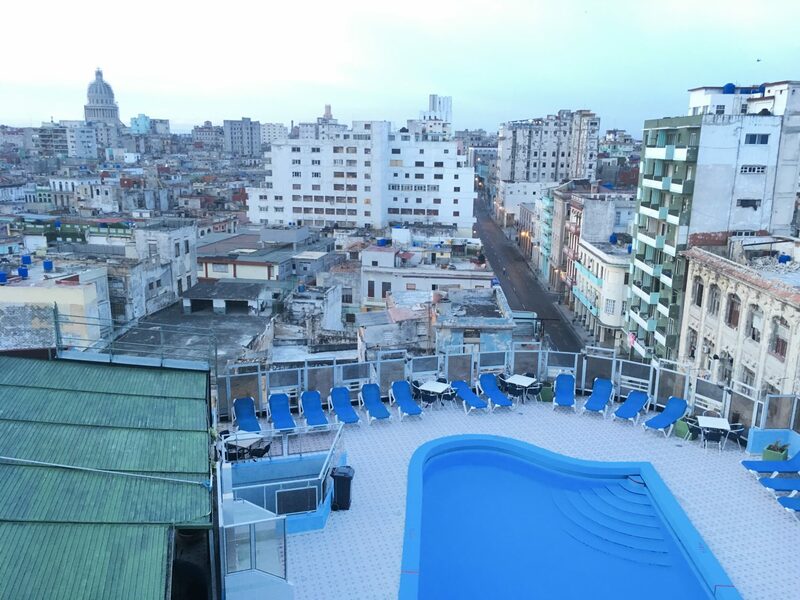 First stop: Havana. Being on the road here is very camera worthy, and the streetview is very instagrammable #withoutfilter. So many vintage cars on the roads, next to horse carts ánd modern cars. It is truly a sight that you will not see in any other country. We visited both old and modern Havana. 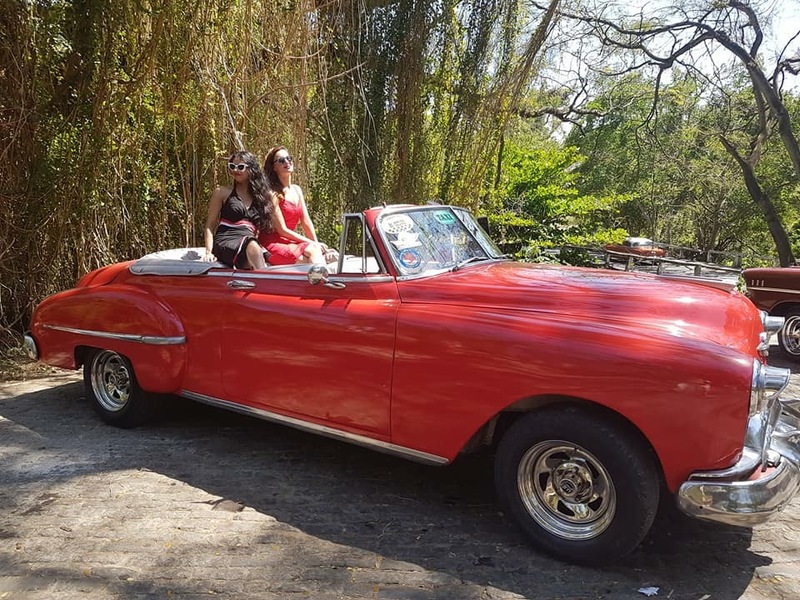 You have the possibility to book an oldtimers tour in Havana. Obviously, we did that. At a certain point, I was sitting in front of our oldtimer and I could honk to the other cars around us. Quite entertaining. One of the first nights we went to a performance of the Buena Vista Social Club. 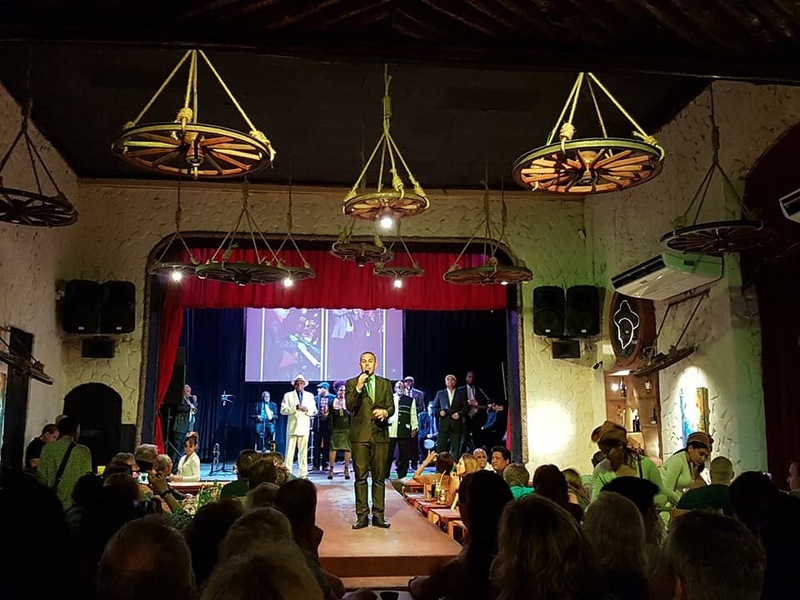 It was a great performance which also included two original members of ‘Guantanamera’ era. The original members still had that dazzle and energy to give a great performance, while a younger dancer encouraged the public to dance. We also visited Plaza de la Revolución and of course, we have the Malécon, which is 7 kilometres long. We had several strolls along the Malécon. Unfortunately, we didn’t have time to visit the hotel where Ernest Hemingway used to stay: Hotel Ambos Mundos. This is definitely on my to-do list the next time I visit Cuba ;-). By the way, we did drink plenty of his favorite drinks. Mojito? Yes, please! 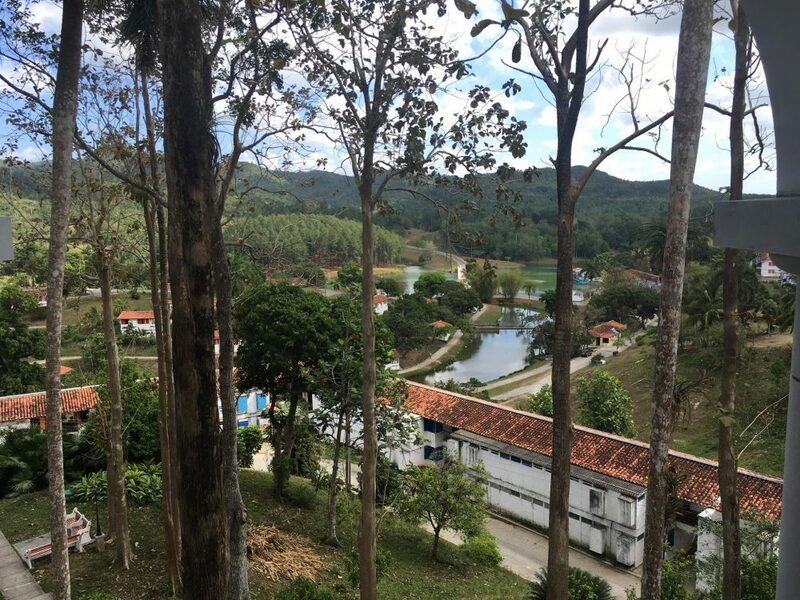 After two days in Havana, we headed to nature and to the center of tobacco in the province Pinar del Rio. Here we stayed at little bungalow huts. Of course, we visited a cigar factory. It was very interesting to see the cigar making process. In Pinar del Rio we also visited a liqueur factory. Next to that, we had a beach day at one of the most beautiful beaches I’ve seen so far: Cayo Jutías. In our group tour we had a lot of freedom, so we also decided to take a ‘poolparty’ afternoon, since it was so hot. 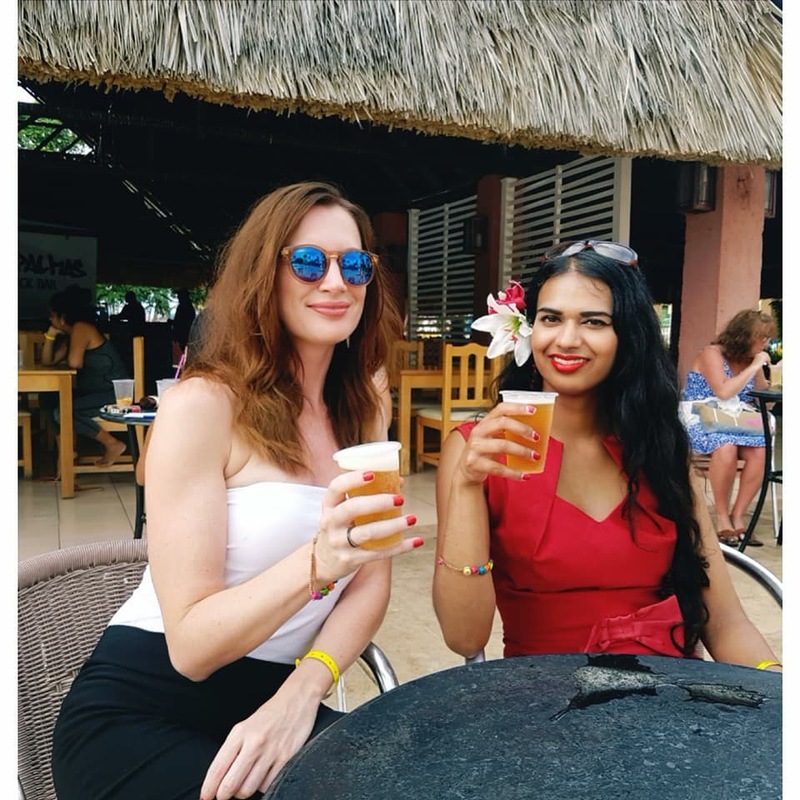 My friend and I will also always remember that memorable time in the swimming pool, while we were trying to conversate for 45 minutes with Cubans who didn’t speak English and we didn’t speak Spanish. Quite a challenge, I can tell you that. 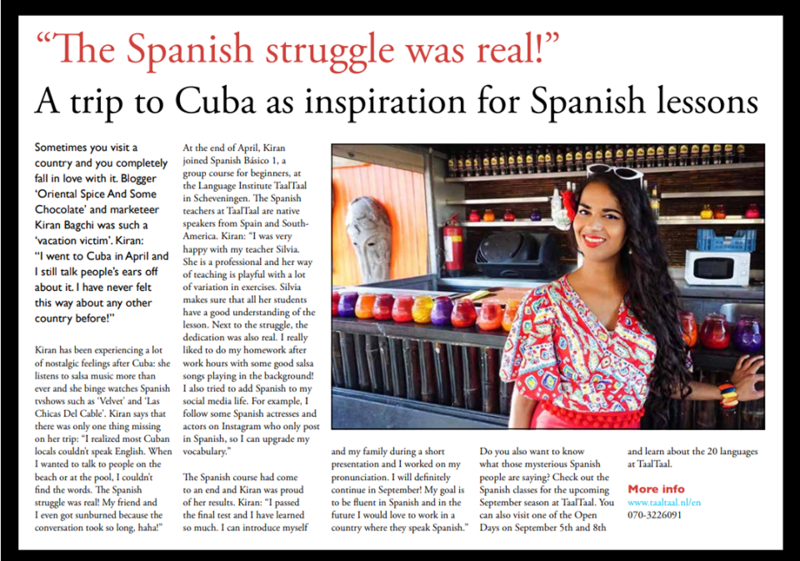 This situation actually inspired us to take Spanish language lessons! 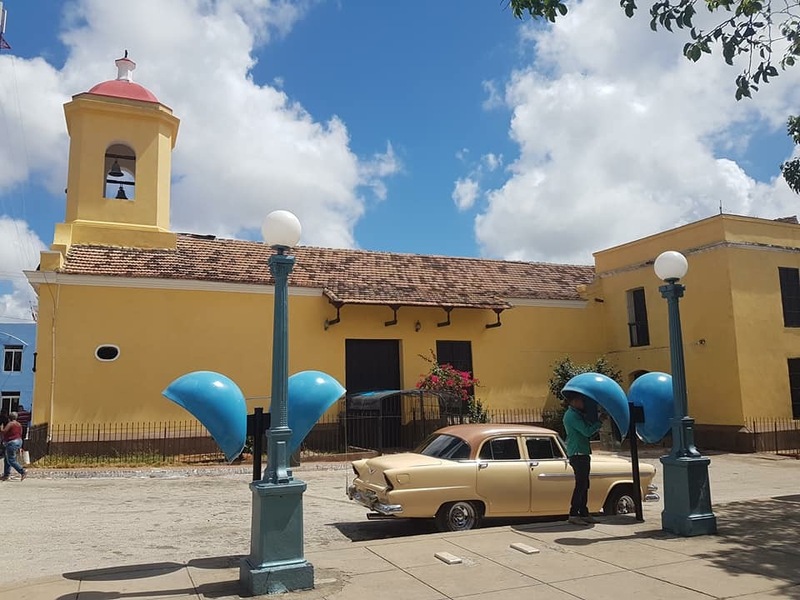 Moving on to our next stop: Cienfuegos ‘Parel of the South’. Another impressive city that immediately gives you historical vibes. One of the highlights was the impressive palace Palacia del Valle. On top of this palace you’ll get a beautiful view over the city. 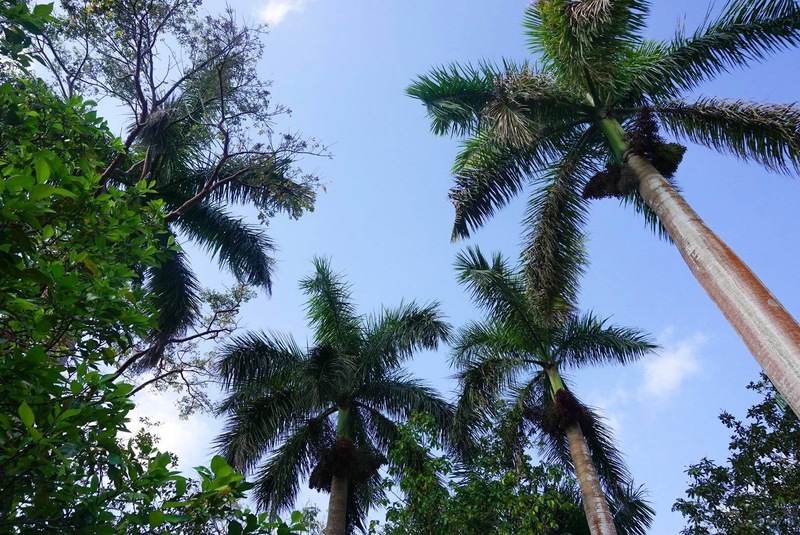 Another must-see is Parque José Martí. It’s the beautiful town square of Cienfuegos where you can also enjoy several historical constructions. 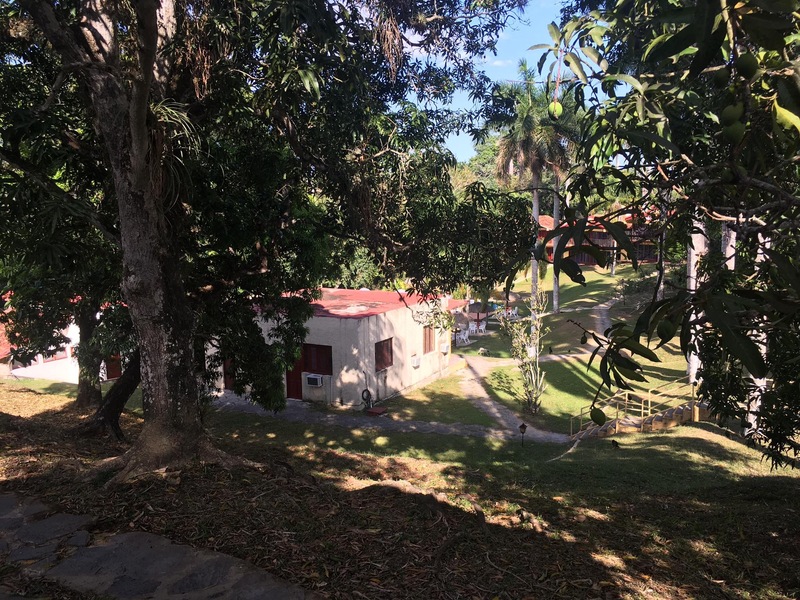 During our stay in Cienfuegos, we also stayed nearby nature parks. Here we had a lot of long nights, including that one time when we got a (refresher) salsa workshop and danced the night away. Trinidad is a very colorful city. It’s also one of the cities that is marked as UNESCO world heritage site. Definitely a must-see when you visit Cuba for the first time. Trinidad is also the city where we slept at Casa Particulars (sleeping at homes of local people). 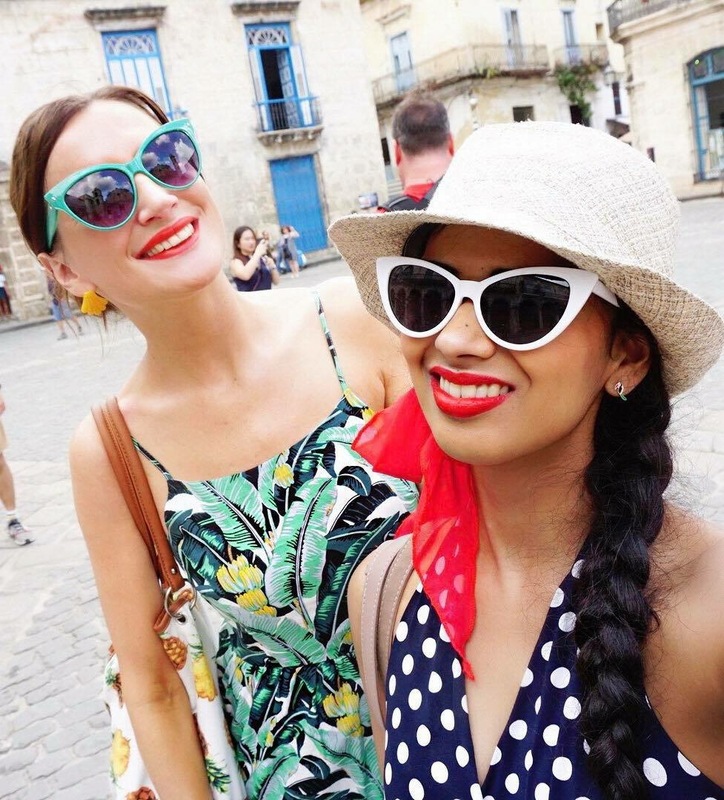 It’s a great way of discovering the authentic life in Cuba. We stayed at a beautiful casa particular, where we had our own room and bathroom. The family also made us breakfast and dinner. Cubans really take good care of their guests. In Trinidad, we also discovered the nightlife, which once again included a lot of dancing. Our last stop was Varadero, or as Cubans call it: “Not really Cuba”. Varadero is the seaside resort of Cuba. Varadero mostly exists of a lot of beach with very clear water. We had refreshing splash in the water. However, you will find a lot more tourists here in comparison to the other cities where you could mingle with the locals. It’s nice to visit Varadero if you’re in Cuba for the first time. 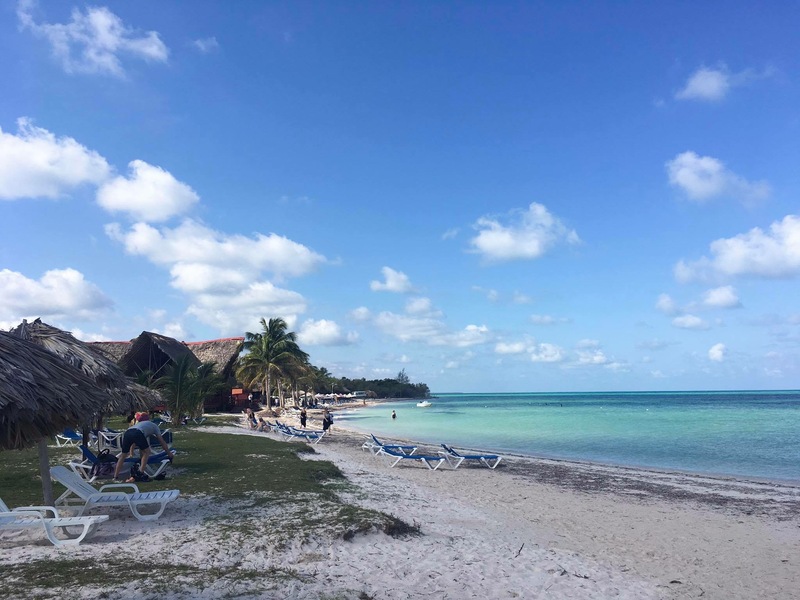 However, if I would go back to Cuba, I wouldn’t feel the need to go back to Varadero, because there are many more beautiful beaches in Cuba where you can lay back and chill and mingle with locals. Living in Cuba is not easy, but stable. There is a shortage in life supplies like personal care products, domestic products and even clothes. A lot of products that you can buy in every supermarket or shop in for example Europe are simply not available there. When it comes to roads and public transport: you will have a bumpy ride (or two). Especially when you’re going to the beach, because of deferred maintenance of roads and streets. 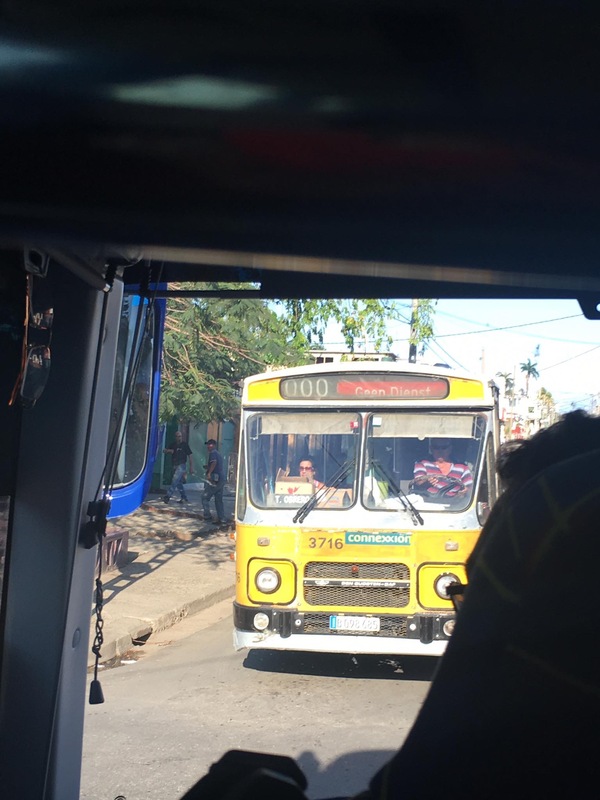 Public transport is available in Cuba, but structured timetables? You can forget about that. On the other hand, hitchhiking is very normal and safe in Cuba for locals. Which is indeed a good solution, especially for Cubans who don’t have a car. People in Cuba are well educated, but cannot always make a living by doing what they studied for. Despite their struggles, their state of mind is one that is admirable. They are very social, friendly open and communicative. 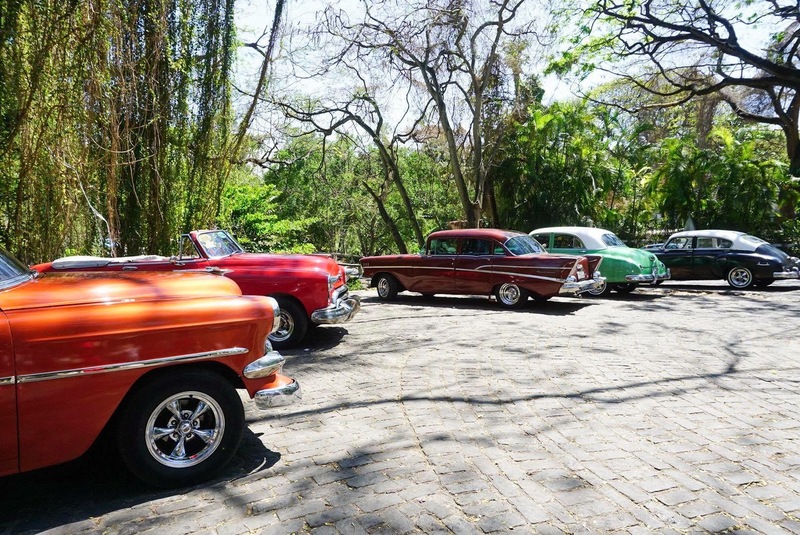 In general, Cubans take each day as it comes and make the best of everything they have. (Mostly) stripped from typical modern luxuries, but still appreciating whatever they have and enjoying the little things in life: from music to simply enjoying time with family and friends at the swimming pool on a random weekday. Let’s not forget salsa dancing. 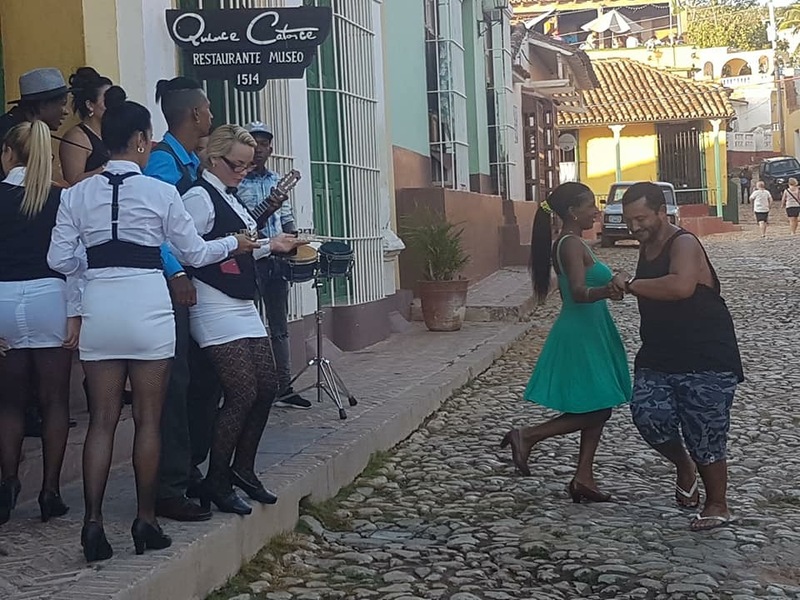 I have never danced so much salsa in two weeks as I have done in Cuba. 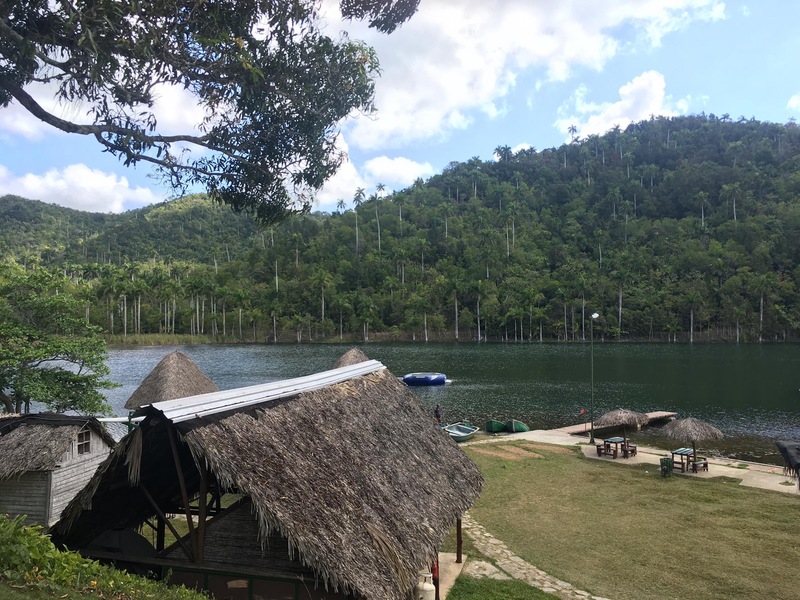 In Cuba, I also experienced the (mostly) internet free effect that you might have forgotten in our always-online world. It’s very pleasant to not be constantly distracted by your mobile device, enjoy the moment and have much more interaction with the people around you. You can buy internet cards at certain points, but you may find yourself postponing the use of it, because hey…you’re in Cuba! Before my holiday, I was really curious about the food. A lot of people told me that I should not expect much of it. In Cuba, I realized this was a classic example of: don’t believe everything you hear (or read on the internet). The food was great. Not one day passed by when we didn’t have a delicious lunch or dinner. 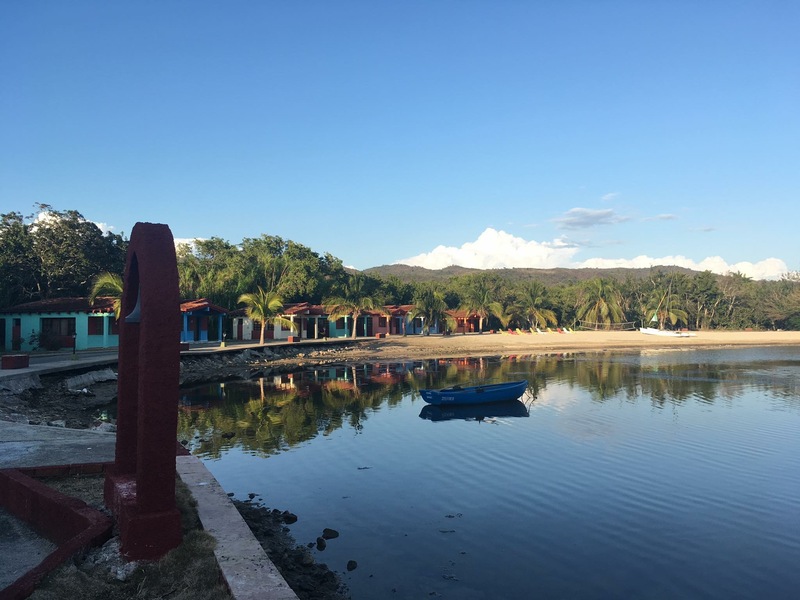 If you love fish, Cuba is definitely the place to be. As mentioned before, there is shortage in life supplies, food products are no exception especially for locals. There was a time when we passed a shop and we saw people coming out with little boxes containing eggs. If you wanted eggs, you would stand in line because you don’t know when it might be available again. When it comes to restaurants, there was one place that really made an impression. Restaurant 1514 in Trinidad, which led to an unforgettable evening. 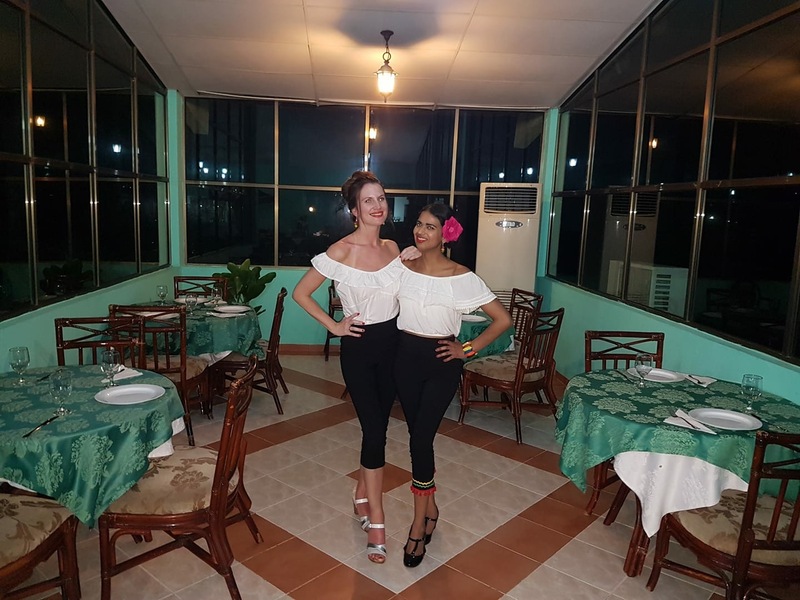 When we arrived at this restaurant, we were welcomed by a salsa dancing couple and some waiters and waitresses of the restaurant. This restaurant was an old restored hotel/museum, very vintage actually! Even better, while we were waiting for our food, the couple who welcomed us at the entrance started dancing. 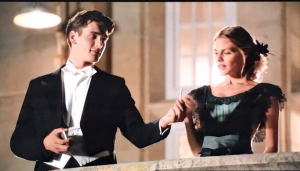 At a certain point almost everyone was asked to dance with them: like a true dinner party. Honestly? The fact that we were there for 11 days. Too short! We actually wanted to stay longer at the end of our trip. We saw a lot of highlights, but we also missed some because of lack of time. A good reason to go back again! In Cuba, there is no rush and that applies to everything. Your patience will be tested in the beginning, but interestingly enough I got used to the ‘no rush’ mode very fast. Next to that: the flight time. Jetlag alert! Back in Holland, I literally had a jetlag from here to Cuba. Next to that, I really had to get used to normal life here in Holland and, especially in the first weeks my friend and I actually felt ‘homesick’ whenever we remembered our holiday in Cuba. 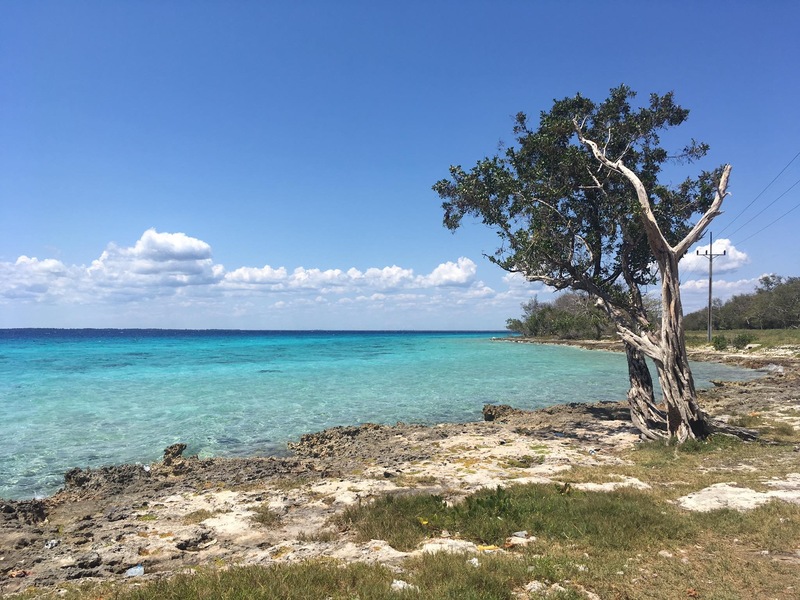 The Cuba effect I didn’t expect before my holiday: I love Cuba! 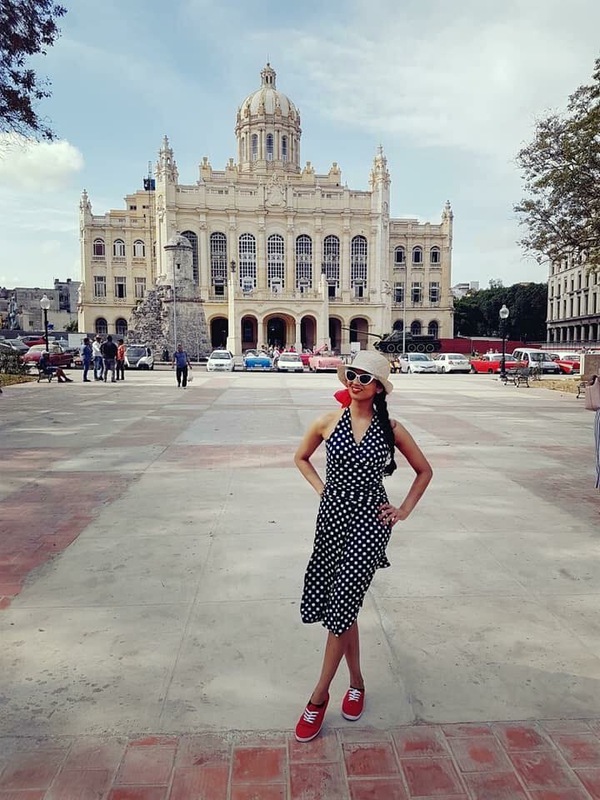 I actually went to Cuba without a lot of expectations, which is definitely the right state of mind when it comes to traveling. 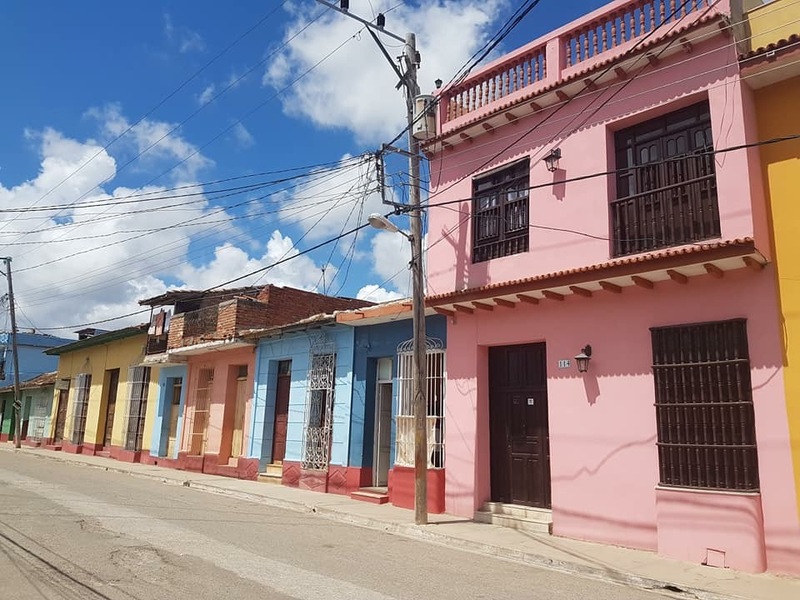 Cuba pleasantly surprised me in many ways and if you ask me what my one my favorite holiday destination is, you can probably guess that Cuba is definitely on the list. In fact, my friend and I couldn’t (and still can’t) stop talking about it. 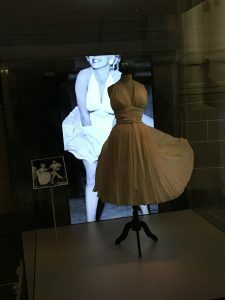 There is a reason why this blog contains 1660 words ;-). And although there are many other countries I want to see: Cuba, I’ll definitely be back!